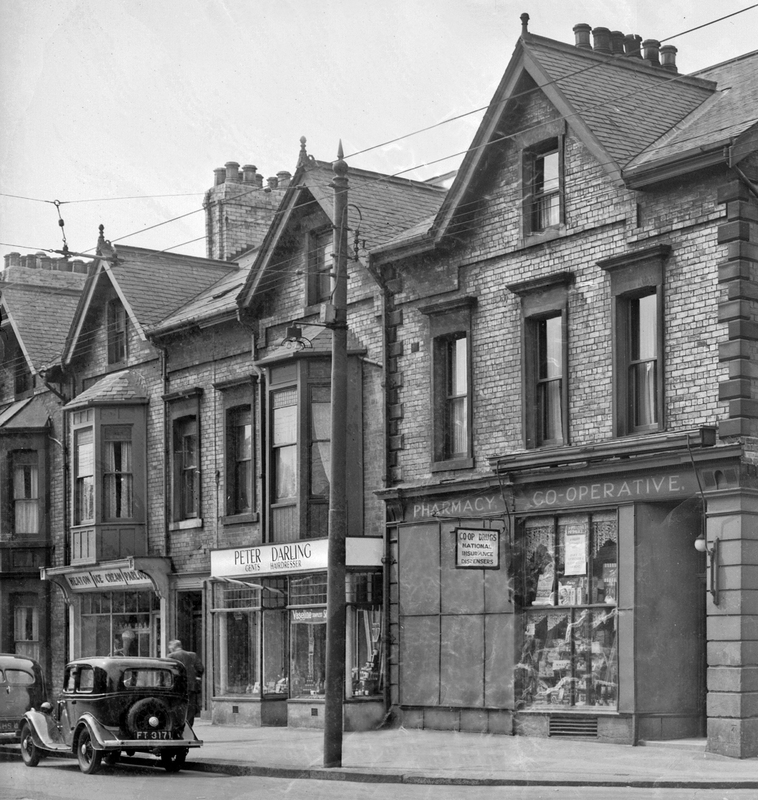 When you look at 57 Heaton Road now, it’s difficult to see any trace of the thriving ice cream parlour that operated here from the 1950s until at least the late 1980s. 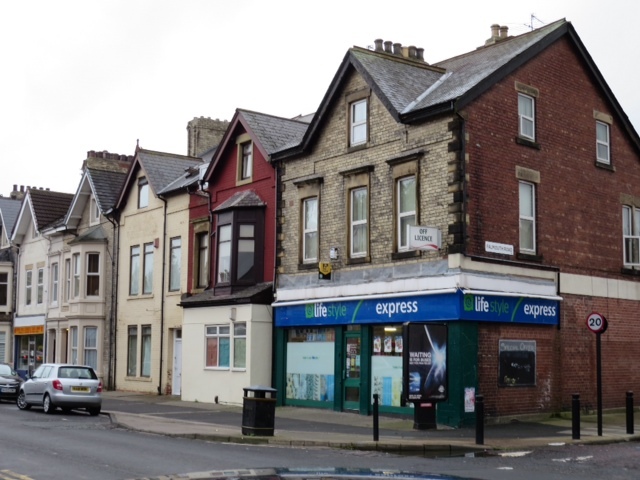 It is now a residential property, the upper bay window has gone, as well as all of the shopfront. Not a ghost remains of the huge ice-cream cone that once stood in the window! But let’s rewind for a moment. The first occupants of number 57 in around 1893 were Thomas and Mary Jane Musgrave. Thomas was described in the trade directory of that year as a ‘gentleman’. He was a lawyer and land agent from Cumberland and his wife the daughter of a County Durham farmer. The fact that the house was occupied by a couple of such social standing illustrates how ‘respectable’ this part of Heaton Road was during the late nineteenth and early twentieth century. The Musgraves were resident for over ten years. Next, in around 1905, William Dawson and his family of seven children moved there from Balmoral Terrace. William, who originated from Whitby, was a draper but, although the family continued to live locally, their Heaton Road business was short-lived: by 1911, William was described as a travelling draper and they were living on Heaton Grove. The occupants from 1910 were Fred and Ethel Bernard and family. Fred was at this time described as a herbalist and much later, in the mid thirties, as a botanist operating from premises in New Bridge Street. He died in 1941. It may be that his Heaton business was curtailed due to World War 1. After the war, Ernest Gibbon briefly ran a dental practice from the premises and then the shop seems to have been unoccupied for a while until, in about 1935, another draper’s shop run by Mrs Anne Rosetta Chambers opened. By the end of the war, the shop was empty again but it wasn’t long before the start up of the most enduring of all the businesses to occupy 57 Heaton Road. By 1945, new residents lived at number 57 – Andrew Calderwood, Mary S Calderwood and Annie H Karr. The following year just Andrew Calderwood and Annie H Karr were listed on the electors register. The first record of the Gazzilli family at this address is in 1947 with Mary Gazzilli, Christina Gazzilli and Andrew Calderwood all registered. Perhaps Andrew Calderwood’s wife had died and the Gazzillis were taken in as lodgers? In 1949 occupants of 57 Heaton Road were Mary Gazzilli, Christina Gazzilli and Mary Gazzilli. 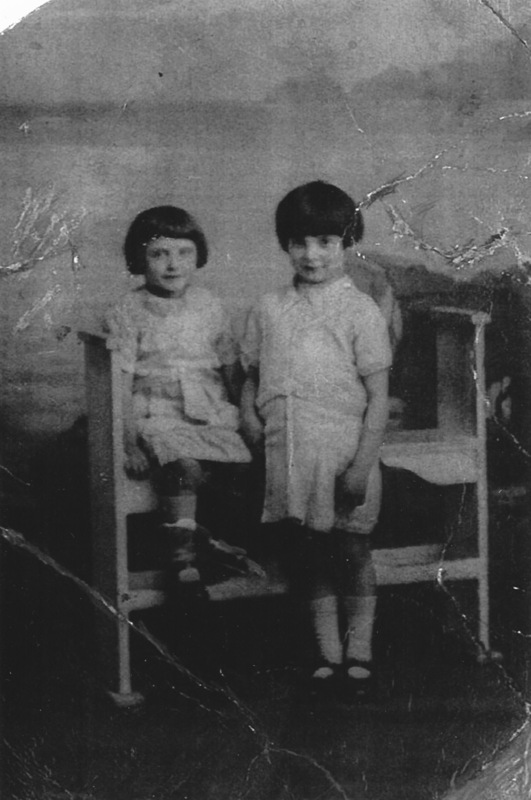 In the 1950 edition they are referred to as Mary Gazzilli (Sen) and Mary Gazzilli (Jun). In 1948-49 the Town and Country Directories listed only one ice cream manufacturer in Newcastle, Mark Tony (or Antonio Marcantonio) of Stepney Bank. The first record of Heaton Ice Cream Parlour is in Kelly’s Directory 1950, under the name of Mrs M Gazell (almost certainly a misprint for Gazzilli). 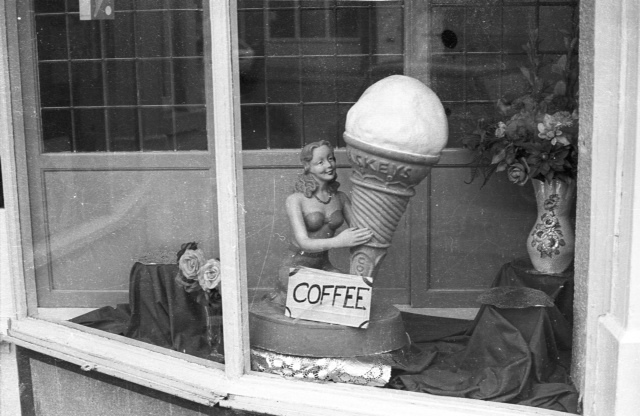 In the photo below (reproduced here courtesy of Beamish Museum), taken on 30th June 1950, just after it opened, the ice cream parlour is the building with the rather splendid car in front of it. Peter Darling, gents’ hairdresser’s was next door and the Co-op Pharmacy was on the corner. Maria and Frank Gazzilli’s youngest daughter Theresa and youngest son, Franky, outside no 57. By 1951 the business was M Gazzilli & Sons and also had premises in Gateshead. In the rest of the 1950s the business is sometimes listed as M Gazzilli & Sons and sometimes as Tony Gazzilli, ice cream maker and dealer. In 1972 it is referred to as Gazzilli Bros rather than M Gazzilli & Sons. although it is likely that the parlour had closed before then. 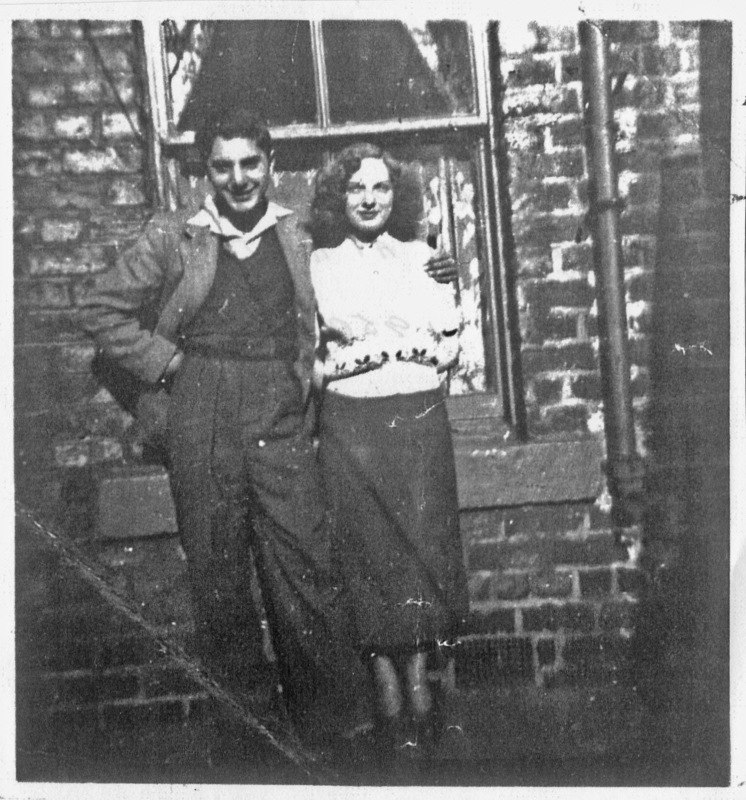 The photographs below were taken in its final years by Davey Pearson, a local photographer, whose archive is held by the Ouseburn Trust. A gravestone in Garden House Cemetery, Swalwell commemorates two brothers: Thomas Gazzilli b1920 d 2003 and Anthony (Tony) Gazzilli b1915 d2010. The fact that there was a Gateshead business makes it seem very likely that these were our “Gazzilli Bros” and that they both lived to a ripe old age. Meanwhile, the wheel has turned full circle. Number 57 has returned to residential usage. It is the (ice?) cream coloured building in the photo below, now minus its bay windows and looking quite different from when it was the local landmark that’s still remembered with such affection. Did you enjoy Gazzilli’s ice cream, do you know any more about the family or recall what came next? More information, photos or memories would be very welcome. A few older readers may even remember the draper’s shop that preceded it. Please comment above this article. Click on Leave a Reply below the title or email Chris Jackson (chris.jackson@heatonhistorygroup.org). By Heaton History Group member, Ann Denton, with additional research by Chris Jackson. Terri, a granddaughter of the late Maria and Frank Gazzilli, has been in touch from Sydney, Australia. She has kindly sent photos of the family and the shop, some of which have been inserted into this article. A precis of the information she provided has been added to the Comments section of this article (See below or click on the link immediately below the article heading). It clears up our confusion about the identity of and relationship between the various Gazzillis. This entry was posted in Research and tagged Balmoral Terrace, draper, Heaton Grove, Heaton Ice Cream Parlour, ice cream, shops, Thomas Musgrave, William Dawson on November 18, 2013 by oldheaton. 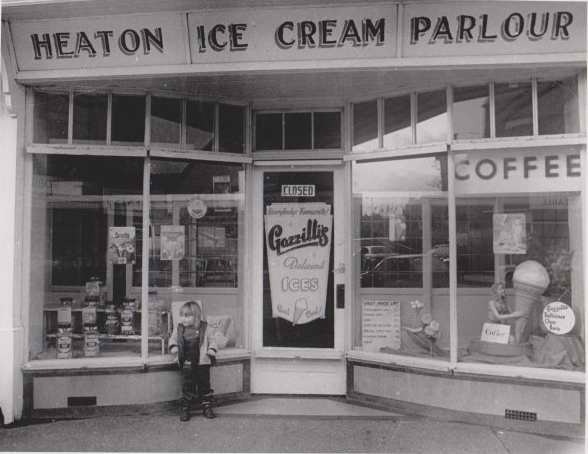 I’m interested to know if you were contacted by any of the Gazzilli family still living in the Newcastle area, descendants of the owners of Heaton Ice Cream Parlour, 57 Heaton Road. They are mainly family of the youngest son Franky. My three sisters and I are children of the eldest daughter Rosena who married and moved away from the area when I was seven. We lived in Gateshead near the original Gazzilli house and shop in Askew Road before moving away. This is where the ice cream business started. Although I am possibly biased, I still say it was the best tasting ice cream ever. We came back for holidays and stayed at the Heaton house regularly. In fact my older sister lived there from age eleven to fifteen. She now lives in Sydney, Australia but she knows the most about the family and the business, so if you are still interested in having more information, if you let me know, I will tell her. It’s good that you have a thriving History Heaton group. Although not living there, I always liked the area and my parents’ ashes are scattered in Jesmond Dene where dad always liked to visit. With good wishes Marian (Spencer), known as Winifred – Winnie – as a child there and relatives there still use that..) – my surname was Tyrrell. 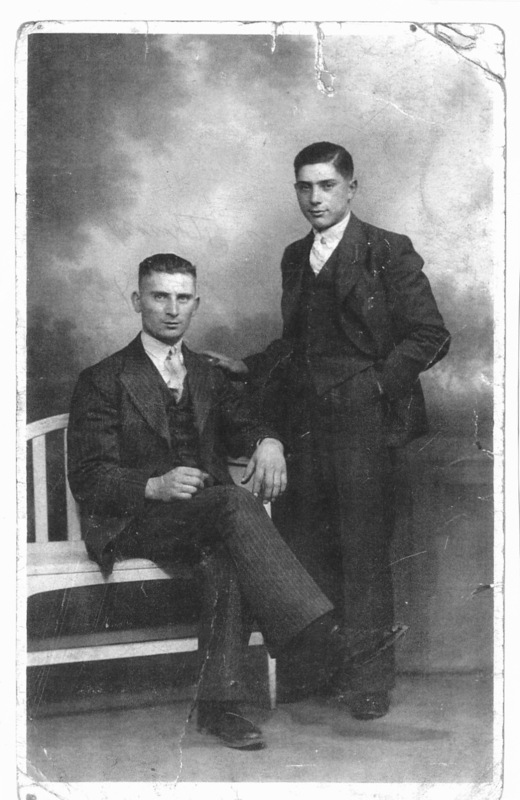 ‘Maria and Frank Gazzilli started the business in Gateshead in the 1930s. 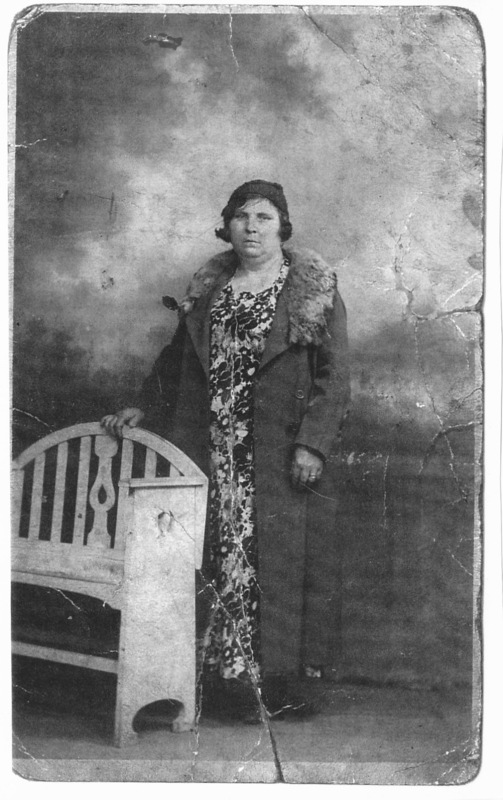 Frank died in 1944 and Maria was left in control of the business as well as a large family. The couple had 13 children, 11 of whom survived. 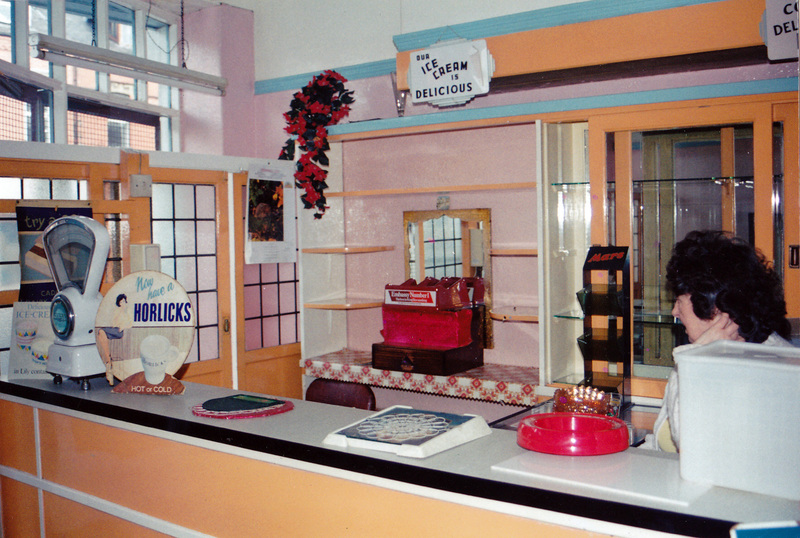 In the late 1940s, she bought 57 Heaton Road in the name of M and Tony Gazzilli in order to extend the business and provide work for her daughters and a family home for the future.Her daughters, Christina, Mary and Theresa, moved here while her sons stayed in Gateshead but delivered ice-cream to Heaton on a daily basis. Thank you for your letter and the photos, Terri. We’ll no doubt add more of them to the site in time. Frank was the youngest son of Maria and Frank Gazzilli – Terri is their odest grandaughter. I remember Christina I think it was, very upset coming into our sweet shop in the early 90s to tell me that the shop was closing and being sold. She was very sad and a little guilty I believe, because she felt that she was letting the late family down by closing the business.she said that apart from us she their shop was the longest running shop on Heaton Rd. I lived in Dunston as a boy and remember a “jimmy Gazzili” who ran ice cream vans around Dunston with his brother (not sure if his brother was named Frank) they had a small factory unit just off Ravensworth Road opposite the Cross Keys public house . Jimmy Gazziili was a real character and was my Aunty Bettys partner for a very long time don’t think they ever married .This was the early 1970s he was active as I remember 1972-1980 perhaps ..around the Dunston area .Are these the same Gazzilis from Heaton ? Two of the sons ? . Anyway those days are long gone and it seems a million years ago . I never knew the histroy of the Gazzilis family until I found your site ..brings back a lot of memories thanks.